In daily life, we often encounter data loss problems. There are many reasons for data loss, such as accidental deletion, mobile phone factory reset, memory card formatting, rooting, system upgrade, water damage, virus attack, software crash, etc. Whatever the cause, it will bring us huge losses. 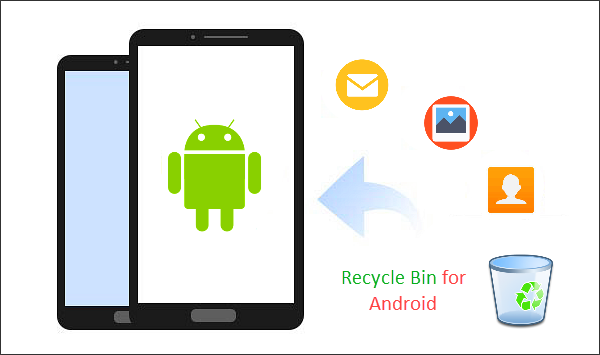 Unfortunately, Android phones do not have the Recycle Bin feature like Windows and do not automatically save deleted or lost data. So for Android users, data loss is a very tricky issue. But there is no absolute thing in the world. Although Android phones don't have this feature, we can manually add an app similar to the recycle bin to the phone, which has the same functionality as the window's recycle bin. In this way, when our data is accidentally deleted or accidentally lost, we can easily retrieve them. Tip: In addition to manually adding the recycle bin, we can also download a free data recovery software on your computer, even if you don't have a backup and recycle bin, you can quickly recover accidentally deleted data.